Helen Henderson has done a good article exploring new airline security practices from the perspective of a traveler with a disability. Long before the sunscreen and the mouthwash and the duty free were banned from the cabin, air travellers who use electric wheelchairs knew only too well what it's like to be buried in pre-flight restrictions. Wheelchairs as air cargo have always meant a maze of red tape — the planning, the booking, the checking, the re-checking, the worry that no matter how careful everyone tries to be, one of your most precious possessions may come to grief at the hands of strangers in the belly of a jumbo jet. Surf Especial are making waves in Brazil! You may need Google and a Portuguese dictionary to catch the finer points but the overall story is that Robson Careca, after paralysis from an automobile accident in 1998, has launched a disabled surfers association in Brazil. Inclusive Tourism and Accessible Adventure Travel is establishing itself. Surf Especial is just one more example of the new wave! Online you can find a link to the Seville for Everyone Guide titled "(Guide to Accessible Tourism in the City of Seville" ("Guía de Turismo Accesible de la Ciudad de Sevilla"). Continue reading Access to Seville. Ronni Gordon writes about Universal Design, "although some consumers think it is another way of describing "handicapped accessible," it is a broader concept intended to make a home easier to navigate whether in a wheelchair or pushing a child in a stroller or moving furniture in and out." Continue reading Designed for all. Nerja is on the Mediterranean Coast of Spain about 55 km (about 35 miles) from Malaga, in the direction of Motril and Almeria. 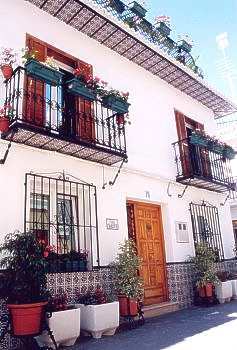 Not coincidentally, Nerja is where you will find Casa Charlotte. Continue reading Ever Been to Nerja?. Someday I am going to return to Tasmania. This time it will be for a more leisurely tour than my short stint as Visiting Journalist sponsored by Tourism Tasmania. I have a simple request for the State of Tasmania. May I please have a loo that I can use when we arrive at Blowhole at Eaglehawk Neck? That includes a wheelchair accessible path of travel from the car park. I promise, if you build it according to Australian Accessibility Standards (and a pinch of style) I will personally submit it to the Loo of the Year Awards. Continue reading Blowhole at Eagle Neck, Tasmania. In several places where I have traveled I have heard a saying something like, "If you don't like the weather right now just stick around. It will change soon enough." Trying to keep a list of links on Inclusive Travel updated is also an experience of constant change. Fortunately the changes seem to be a steady flow of new sites supported by ever higher levels of government and industry with ever greater evidence of truly understanding the needs and economic potential of this travel niche. Continue reading Trolling for Links. When in Sydney do as the locals do. Check out Eatability! Life IS Full is a disability lifestyle magazine celebrating a year of publication. The first autobiographical piece you will find there is on Monica Bascio. WASHINGTON, Aug. 18 /U.S. Newswire/ -- A settlement agreement reached with Madonna Inn Inc. under Title III of the Americans with Disabilities Act (ADA) will make the landmark roadside Inn more accessible to people with disabilities, the Justice Department announced today. "People with disabilities too often face unreasonable barriers to enjoying many things most of us take for granted, such as traveling and staying in a hotel or motel," said Wan J. Kim, Assistant Attorney General for the Civil Rights Division. "Today's settlement is a positive step towards ensuring that persons with disabilities enjoy fully the freedom to travel." Continue reading Agreement on Accessibility Issues with the Madonna Inn. I predict an uncomfortable intersection of industry trends here -- airine cost-cutting and ADA rollback policies colliding with aging Boomers and the institutionalization of "Medical Tourism." But, with profits to be made by those in the Medical Travel niche, a new constituency will align itself as allies of Universal Design in the travel & hospitality industry (Inclusive Travel). The downside to monitor will be the reassertion of handicapping attitudes, policies, and procedures under the rubric of the medical model. Perhaps a public health approach to that pernicious, and highly contagious model may be the best strategy. More travel agencies are jumping on the medical tourism trend as about half a million Americans will go abroad for medical treatment this year alone. Global Choice Healthcare is a leading provider of cost-saving medical procedure packages throughout the world and has now announced a partnership with two large travel agencies, Rio Grande Travel in Albuquerque and Solimar Travel Experience based in Washington, DC. GlobalChoice works with a network of world-class hospitals in Singapore, Costa Rica and India with access to more than 100 medical procedures. Costs can be more than 50% to 70% less overseas than in the US so a medical package can make economic sense. For more information visit globalchoicehealthcare.com. Continue reading Medical Tourism on the Rise. A strong voice for the social & policy impact of Universal Design has been "reassigned." Lex Frieden will not be reappointed to lead the National Council on Disability. Frieden said he is proud of the work NCD has done promoting the concept of livable communities. "It's equivalent to the concept of universal design," he said. "The idea is, when we start to build communities, we do so with the assumption that the communities include people with disabilities. So everything from the ground up is going to be designed for all people. The whole issue of disability accommodation becomes superfluous." Sometimes the simplest truths are the hardest to see. Continue reading Around the World & Home Again. Hers is the first application that I am aware of binging Universal Design for Learning to an Inclusive Travel project in an audio format. Give this project broad coverage as an example of the multiple audiences served by Universal Design applied to tourism. This site is accessible to learners of German. Educators can incorporate it into their curriculum. This site is accessible to native German speakers with cogitive disabilities. to drill down a bit. 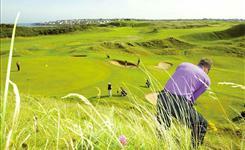 Continue reading Persistence at DiscoverIreland.com. ...auf Deutsch von Zug?nglichkeit für Reisende. But the same list includes resources for travelers speaking French, Italian, English. I can see at least one important URL missing... but this is one useful resource published by Mobility International Switzerland! And Now for Something Completely "Bacana!" Continue reading And Now for Something Completely "Bacana!". Africa (the continent) not only South Africa (the country). Ernesto Alejandro José (AKA "PolloPatagónico") has offered permissiion to reproduce his photos. 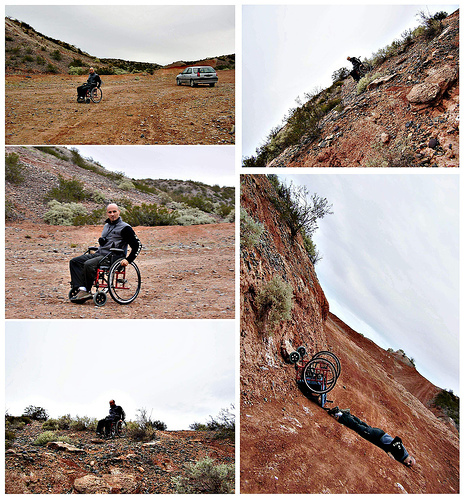 Here are three but head over to the Flickr shoto-sharing group Travel with a Disability for his own choices. Continue reading Update from Patagonia. Flickr.com is alive with photographic expression - everything from point & shoot images of a 2 year old's birthday party to this carefully staged parody of wheelchair X-treme sports from an artist named "PolloPatagónico" (the Patagonian Chicken). Continue reading El Pollo Patagónico: Photography for Social Change. WEDNESDAY, Aug. 16 (HealthDay News) -- Even a little extra income can make a big difference in helping middle-class people ward off disability, a new study finds. "The surprise was at the upper end," said Meredith Minkler, an author of a report on the study in the Aug. 17 issue of the New England Journal of Medicine. "We always knew there was a major gap between the very poor and the very rich. To find that the middle class was at a substantial disadvantage to slightly wealthier folks was a surprise." Continue reading Wealth & Disability: A New Study. Your French does not need to be perfect to take advantage of Y' anous! portal -- but it helps. 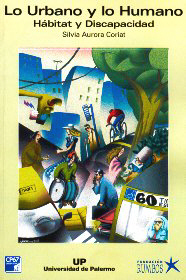 The site covers the disability scene in the country with contributions on travel and leisure. Continue reading Y' anous! Access to France. The New Standard has published a good overview of what we all watched happen in realtime after Katrina -- but the major news sources systematically overlooked. If basic accommodation of people with disabilities are so poor when the entire government of the United States turns its attention to a problem can there be any doubt that accessible tourism has a bit of improving to do? Aug. 15 – During Hurricane Katrina, Benilda Caixeta, a New Orleans resident with quadriplegia, tried for two days to seek refuge at the Superdome. Despite repeated phone calls to authorities, help never arrived for Caixeta. Days later, she was found dead in her apartment, floating next to her wheelchair. Continue reading Reviving the Katrina & Disabilities Conversation. responses with a wide range of suggestions. the Web, we have decided to take Nextaris off-line as of September 7, 2006.
best of Web 2.0 features and AJAX (at a date to be determined). Katja Stokely has compiled some useful resources on accessible travel to Germany at her site, Broken Clay Journal. Look Trang web cá cược trực tuyếnhere. Notice that she has also been translating Chistiane Link's Behindertenparkplatz travelogue to India. Teri Adams has something engaging to say about being disabled. Its well-written, on point and served up fresh at Crip Chronicles. "The other day I got stopped by a cop for being drunk," he said. "I said, 'I'm not drunk; I've got cerebral palsy.' The cop says, 'That's an awfully big word for a drunk guy.' "
Continue reading Josh Blue and Travel wih CP. Caughtya.org -- Because "I'll Just be Here a Minute" is 60 Seconds Too Long! The first moblog expose on violators of reserved parking for people with disabilities was Gimp Eye for the Clueless Guy. Over at Flickr.com a few brave souls wage an ongoing campaign to expose scofflaws. Now Caughtya.org promises to bring the artfom a new level of international visibility. Continue reading Caughtya.org -- Because "I'll Just be Here a Minute" is 60 Seconds Too Long!. The visual orienation of his posts -- large graphics that clearly illustrate wheelchair accessibility features -- is an innovation in tourism-for-all blogs and worth imitation by others growing the disabled travel niche. We look forward to have such an experienced voice in the global network on accessible travel reporting in English from Barcelona, Spain! Continue reading Craig Grime's Accessible Consulting on Inclusive Travel. What does all this mean for the hospitality industry? Interior design for senior citizens must take into account the elements of hearing loss, diminished vision, lessened color perception, poorer short-term memory and weakened upper body strength. Continue reading What does all this mean for the hospitality industry?. As editor I will be the first to admit that the Rolling Rains Report can improve as a resource for the deaf community. In that spirit I would like to announce Deaf Cruise 2007 and invite emails on other items of note. Continue reading Deaf Cruise 2007. ... and one Bloody Long Walk! Listen to comedian Spike Breakwell take you across the entire continent of Australia -- maybe! "Alligators can run 15 miles an hour. My wheelchair can go 6...One of us might die!" I wonder if Emily Hesaltine's website has a contingency for alligator preparedness? Vasi, aren't you glad you chose to navigate a more sedate continent? Lew Sitzer has a fascinating interview with Megan Smith, a self described Disabled Traveller who graduated in January from Nevada Union ... all ? High School and decided to fill her six months before college with international travel. She is fascinated by different cultures and languages and has much to tell about her sojourns including how different people respond to her disability in different locales. She travelled to India and to Costa Rica and Peru. She shows us many photos of her trip. Megan enjoyed her travel so much that she plans to establish a career that will keep her road always open to the wider world. 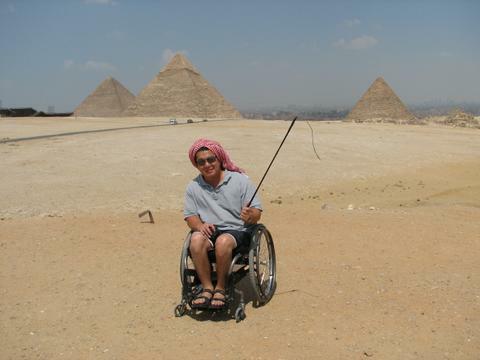 Continue reading Megan Smith - Disabled World Traveler. This weekend the RollingRains Travel With a Disability photo & discussion group was launched at Flickr.com. This week I want to profile just a few of the more than 35 people who joined in the first three days. Bill Hinchberger, Editor of BrazilMax has an impressive CV - and an impressive web site. For sheer visual impact - whether or not you plan a trip to the country - BrazilMax is well worth the visit. Like many Rolling Rains readers Bill is also generous with his impressive specialized knowledge. He is truly the "Go to Guy" for reliable information on all aspects of Brazil if you are an English speaker. Continue reading Bill Hinchberger and BrazilMax. In the first study to explore how consumers attempt to gain revenge against corporations that have wronged them, researchers from Arizona State University find strong parallels between consumer complaint Web sites and other civic protest movements. Consumer Web sites use rhetorical tactics to address injustice, identity, and agency – turning personal betrayal into a "cause" worthy of public attention and support. Marcelo de Arrechea has a panoramic vision of inclusion. Perhaps it comes from from living in a country with everything from the wide green pampas to the endless blue Atlantic to the white walls of mist at Iguazu Falls and the mountain heights of Bariloche and beyond. Or maybe it's a quality of heart independent of place and reflective of character and one man's spirit of service. That spirt permeates his travel service Decthird (for "December Third"). The mission of Decthird is to allow all people, regardless of their physical condition, to have access without any barriers to tourist attractions throughout the country. La misión de Decthird es desarrollar el turismo accesible en la Argentina tal que todas las personas, más allá de las características de sus condiciones físicas, tengan un acceso sin barreras a los centros turísticos del país. Continue reading Marcelo de Arrechea and Decthird Travel of Argentina. National Public Radio airs an interview with Jared Sandberg on the long term consequences of differing vacation styles. Making the Most of Your Vacation. Norman Montifar is a professional photograper from the Philipines residing in New York City. He enjoys travel. He also happens to have had polio as a child. You can see Norman's spectacular work at Norman Montifar. You can also see some of it at Rolling Rains - Travel with a Disability the new Flickr group on travel & disability. Australia's e-Bility.com with Some Hot News on Travel & Disability! Well, you know that you have arrived when somebody else beats you to getting your own publicity out the door! You know Flickr - the site that combines free photo galleries with social networking like group photo albums, mutual commentary on photos and straight bulletin board posts by topic. Here is an appeal from Dominck in Switzerland who is ready to go public with a good idea. 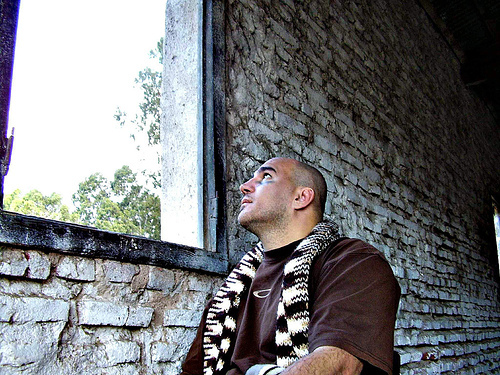 Continue reading From Dominick in Switzerland. The White House website does not comply with Section 508. Continue reading The White House website does not comply with Section 508. For those who read Czech (Sorry, my people come from across the river in God's country -- Slovakia -- and they only taught me words unfit to print!) here is the site for the Czech Paraplegics Association. Tom Chun, self-proclaimed "International Man of Leisure" sends another report from the field. Continue reading Notes from a World Traveler. Gabriel Balirac publishes ZuHause blog and podcast from Galicia in Spain. For those who read - and particularly those who would like to contribute - in Spanish I call your attention to the post on a travel podcast network Cominidad de Pocast de Viajes. The service is in alpha release and promises to be entertaining. Blog de Viajes' Jorge Gobbi is behind it so it also promises to be quality. Pleach and Plash - Green Homes Built by Nature? 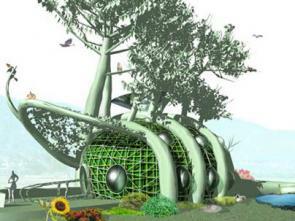 Excuse me, but did MIT just invent the Visitable Treehouse? Looks like a zero-step entrance to me! It even has handrails on the ramp to the front door. In the future, homeowners may grow their houses instead of building them. That's the vision of MIT architect Mitchell Joachim of the Media Lab's Smart Cities group. Are We Really, Really, Ready Yet? Today the Federation of American Scientists launched ReallyReady.org, a comprehensive emergency preparedness website developed in nine weeks by FAS intern Emily Hesaltine. Modeled after the Department of Homeland Security's Ready.gov, ReallyReady.org addresses the inaccuracies and incomplete information on the DHS site. The first thing you may notice is that one of the three top level sections at ReallyReady.org deals with disability -- Really Ready Disability. Not so at the governement's multimillion dollar site. Makes me wonder? Is Emily Hesaltine a Rolling Rains reader? It seems that one of the hidden heroes behind this site is Hilary Styron Director of the National Organization on Disability’s Emergency Preparedness Initiative. Continue reading Are We Really, Really, Ready Yet?. Mobility-Advisor.com serves as an educational resource on wheelchair options, scooters, wheelchair sports, disabled travel and recreation, daily living aids, and support organizations to enhance the lives of individuals of all ages who need mobility assistance. Continue reading Mobility-Advisor.com: Live More Independently. Continue reading The Sydney Morning Herald.